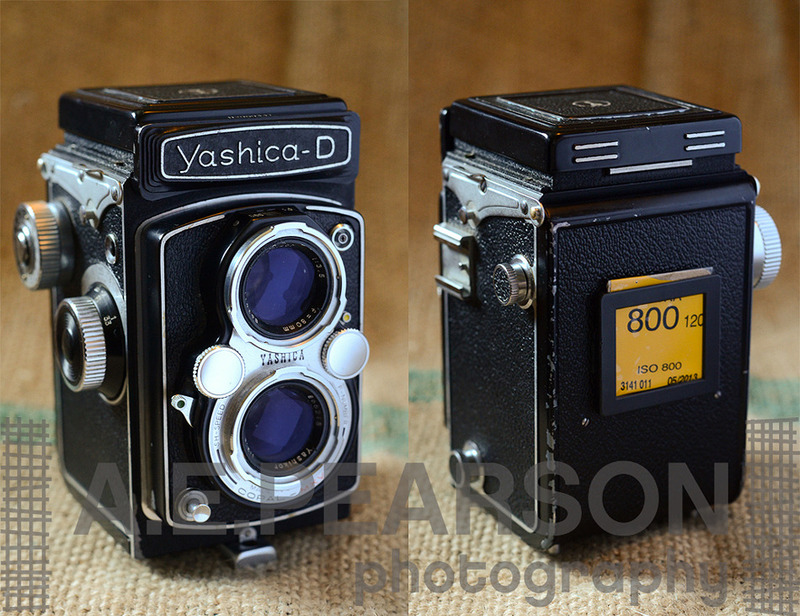 Yashica D TLR Review – The BEST Budget Medium Format Camera Ever Made! Being a photographer, I have the fortunate disposition of being in a field where the tools of my trade are often bona-fide antiques. For a guy that spends weekends wandering through thrift shops and antique stores, it’s a blessing. I mean, not only are some of the older cameras I’ve owned absolutely gorgeous pieces of mechanical beauty – but they TAKE FREAKIN’ PICTURES. Yes, that’s right, even my 100 year old folder camera my aunt gave me takes pictures. After all this time – they are still relevant tools of the trade. With all that said, I have owned/use a LARGE variety of cameras. Whether it be 16mm, 35mm, Medium Format, or Large Format – I’m on a perpetual search for the “perfect camera”. The *right* camera isn’t always affordable – but then comes the Yashica D. This camera is, in my opinion, one of the best all-around medium format cameras on the market. It’s not a Hasselblad, or a Rollei…but it’s also something you can find ALL DAY LONG for well under $100. This one, in the incredible condition it’s in, set me back $81. If you are reading this you probably are aware of the current used prices these days of quality medium format cameras, and you are probably picking your jaw up off the ground right now too ($81?!?! ).Why do I love it, and why should you go buy one RIGHT NOW? The fit is near perfect. The layout of the winding knob, focus knob, shutter speed and aperture dials, shutter cocking lever, and shutter release button are all in just the right spot to be used without confusion and, after getting used to it, without even looking. This, to me, is HUGELY important. Sharp optics. Apparently there are two different versions of the 80mm f/3.5 lens that comes with this camera. Yashikor and Yashinon (I think?). If you care about the “expert” reviews on the internet about these two lenses, you’d probably be convinced that the Yashikor is worthless and not sharp. And, you would be wrong. If I can say one thing about reading camera reviews online it’s that they are mostly based on rumor and not actual experience. Take everything you read with a grain of salt. The “feel”. This camera just feels right. When you are holding it, its hard to ignore the voice in your head that tells you to grab a handful of film and get to shooting. Seriously. Ease of use. There is no bulky and unreliable meter built into this camera. All you need is a handheld meter or the good ol’ Sunny 16 rule. This camera is just plain simple. Everything about it just WORKS. Design. It’s beautiful, isn’t it? And, man, this thing is SOLID. Compared to the Yashica Mat 124G (of which I’ve owned a few), even though it’s essentially the same camera, it just feels much more solid and well thought out. Also, the lens is fixed and not interchangeable – to some this is a negative attribute, to me, this is more of a reason to buy one. Keep it simple. Thank You for the great article and useful info. Great work. Thanks for your efforts in educating others! I own 3 “D”s and they are great cameras.